BetaList features the newest startups. 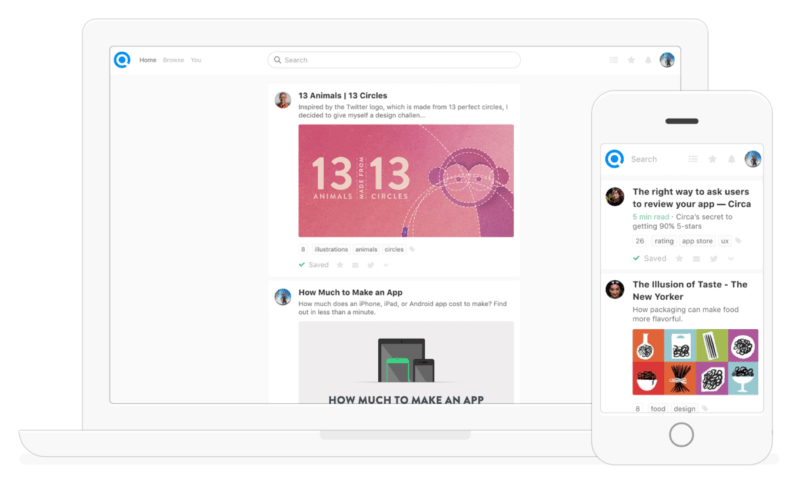 Today, we take a closer look at Refind, a new take on social bookmarking. Submit your startup to get featured too. Refind is the home for the best links on the web. It lets you save great links that will come in handy in the future, discover what others save, and find everything again when you really need it, for example when you later search for a similar topic on Google. Refind works on desktop (Chrome, Safari, Firefox) and mobile (iOS, Android). Why should we use it over something like Delicious or Pinboard? Delicious pioneered social bookmarking in 2003. We’re taking up on where they left off with a number of new features and add a new spin. One of the problems Refind tries to solve is Push: Every day more links are pushed into our faces than we have time to check out. Refind is a place to save great links as you discover them – fire-and-forget style – and then move on. Refind will help you find them again when you actually need them. Can you talk more about that? I seem to bookmark more pages than I have time to revisit. How will Refind help me? There are many ways how Refind resurfaces links when you really need them. One example is when you search on Google, Refind inserts your best result for that query on third position (if it is not present in Google’s 10 results), or decorates existing results with your and your friends faces who saved that link. Another interesting feature is Read Soon, as an alternative to “read it later”-services. What has the feedback been for the beta so far? What was the most surprising thing you’ve heard?